When it comes to our home many of us will find that we can be quite house proud at times. We like the idea of making your house a home and the decoration of it can really make a huge difference to how it looks and appears to family and guests. We work hard to afford our homes, whether that be rented or owned, so manning them feel nice when you walk through the door is just one way to add to it. However, decoration and interior design can cost you quite a bit if you are not careful, so I wanted to share with you some of the things you can do to change your home decor without blowing your budget. First of all, why not consider how much stuff you actually have in your home. It can be quite easy to become overwhelmed with clutter. From ornaments and things you have to leaving out papers, magazines and books you want to read. It might not be intentional, but you can be assured the clutter can add up. Taking the time to minimise your home can make the world of difference. Whether you choose to sell unwanted things online or recycle, you will find that less clutter can make your home feel like it is brand new. It may sound crazy, but moving furniture around can make a big change in your home. You could even change the use of a room to make it feel different and give it a new purpose. Whether you change the position of your sofa or moving different table or ornaments around, it can be one of the easiest ways to change the way your home looks. Another thing you can do is use the space inside your bed to keep things you don’t use frequently. Choosing a mattress that is comfortable can help you make your house look different and give you a good night’s sleep. Painting is a bit more of a drastic change to make I feel, but it doesn’t need to blow your budget out of the water. 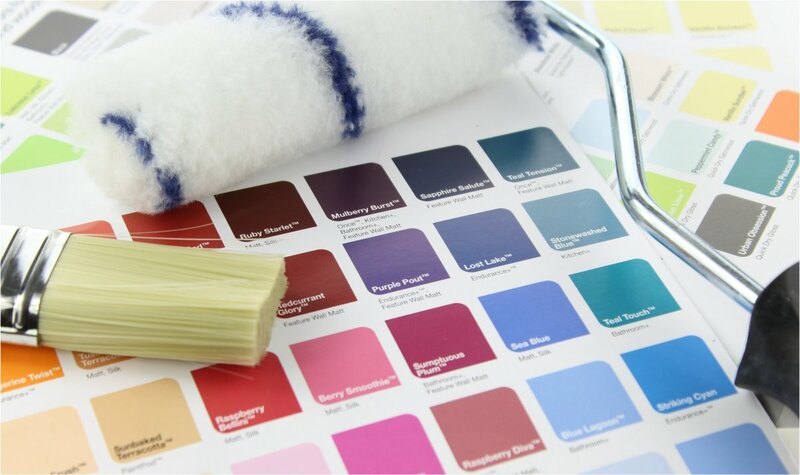 Buying the same colour to decorate the majority of your home saves on price and it can also help the rooms in your home to flow better. IOf you do want to change things up a little then a feature wall of paint can make a big difference to a room in your home. Plus you don’t have to spend so much on a coloured paint choice. People are determined to make their home an expression of their personality, and why wouldn’t they? After all, they have worked hard for it. So DIY bits can make a real change in your home, can be fun to create, and don’t cost the earth. You could choose to create things like bunting or embellish things. A quick look for some new diy products to help and you could even try a battery powered glue gun for ease of use could help you on your way to creating some beautiful diy pieces for your home. Not everyone likes this option, but if you do like to change things up more frequently then using the seasons or a special occasion as your chosen inspiration can be a great way to insert some changes to your home. Seasons can give you inspiration for new colours, patterns and environments. However, special occasions and dressing your home for them can also be a lovely way to include the family. There have been more trends to include things like Easter trees and summer bunting, you could really go all out. We have already mentioned that you can add a feature wall with a different paint colour, which is one of the most common things to do, but you could also create a feature in a different way. Using wall art, paintings and photographs in frames and positioning them on a wall to create a feature can be a lovely way to make a room feel different without much effort or cost. Finally, why not consider changing things up in a more traditional and common way. A lot of people like to insert new things into their home and one of the obvious choices would be soft furnishings. Changing pillows for different colours and patterns, adding a new blanket or throw onto a sofa, reupholstering seats or changing curtains. Small subtle things that can change the way a room looks. I hope that this has given you some inspiration on how you can change your home decor without blowing your budget. Also, check out this cool infographic that provides some ideas around fall DIY decorating tips. Previous Post Which Garden Furniture Suits Your Size of Garden?